The Alexis Sanchez saga is not dead, merely on hold, with news that Manchester City plan to resume their pursuit of the Arsenal man as soon as possible. It was a major blunder by Arsenal to accept a bid without being sure Alexis’ replacement was in place, with Sam Lee and Chris Wheatley of Goal reporting that the 28-year-old does not want to play for Arsenal again, leaving the club with an unhappy player they will now lose for much less than the £60million that City were ready to pay. Sanchez is unlikely to go on strike but has been promised by City that they will make another move for him in the January transfer window, when he will have just months remaining on his contract. Members of Sanchez’s inner circle told Goal that he does not believe Arsenal have what it takes to compete at the top level and feels they have “messed around” with his future. As a result, he has lost all of his motivation to play for them. Alexis’ agent Fernando Felicevich was said to be furious yesterday and placed all the blame on Arsenal, telling both clubs that he would “not forget” Arsenal’s role in what happened yesterday. 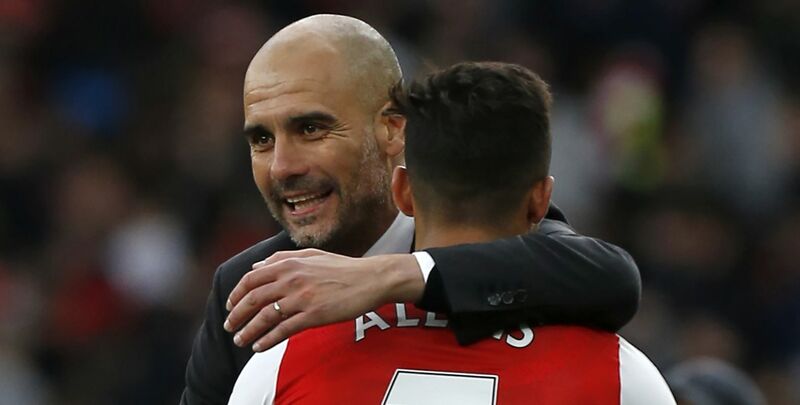 Wary of foreign interest and the small possibility of a U-turn, City are willing to pay Alexis and his advisors big signing-on fees to ensure he is reunited with Pep Guardiola either in January or next summer.